The new Canon EOS 6D full frame DSLR? As the Photokina Show is approaching (Spetember 18 - 23) in Cologne, Germany, more and more 'chatter and leaks' have emerged. The stock of the Canon EOS 5D MK II has been depleting in many parts of the world and there is no reason to believe Canon will retain both MK II and MK III models of the 5D cameras indefinitely. When the EOS 5D MK II was introduced, it was praised for its advanced full frame sensor and image quality but the AF functions and slow frame rate left a lot to be desired. 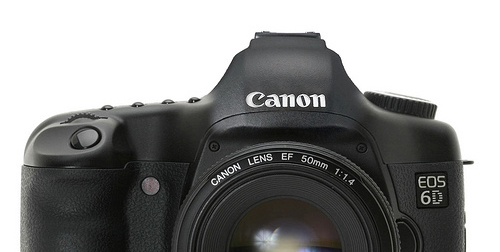 The rumor is the long awaited, full framed camera Canon will introduce soon may be called the EOS 6D. It will retain the same venerable sensor but has improved AF functions, higher burst rate and has touchscreen capability like the EOS Rebel T4i/650D. This sounds plausible because this is where the EOS 5D MK II needs improvement and by introducing the new camera and retiring the MK II, Canon will have accomplished both tasks and give Nikon a run for its money. Look for the new camera's list price to be aggressive, perhaps low $2,000 to put pressure on the Nikon D600 and D800 and generated some buzz during the show. I will be on the road next week on a Travel Photo Shoot in Europe. Bringing my Canon EOS-1D X to try it on Travel photography. I took the camera to Alaska and Canada last month on a grueling wildlife photo shoot and came away quite impressed. Take a look at my review of the camera here. I will have a jam packed itinerary in Europe but will do my best to keep up with the news before and after the Photokina Show. Please bear with me while I try and find free WiFi signal. I refuse to pay for WiFi in hotels as a matter of principle for something that should have been included as part of the amenities in the first place. New Canon EOS-3D megapixel camera ?